Everyone is very conscious about their “new year, new me” motto and you may be one of them too! In view of bringing about a new change to you this year, what better place to start afresh than a brand new, remodeled kitchen? 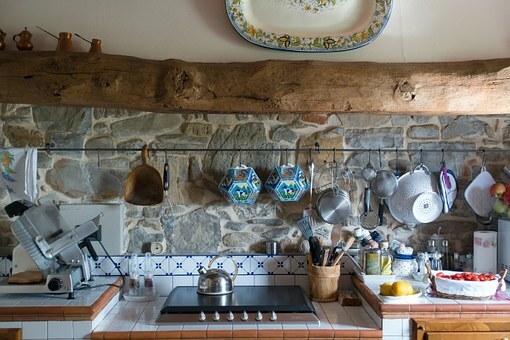 Because, good food can soothe the soul and all you need is a beautiful kitchen to get started. Here are some of the new kitchen remodeling trends of 2019 to help you get going with the new year. Technological inventions are at their peak and new inventions are being made in various domains as you read this. 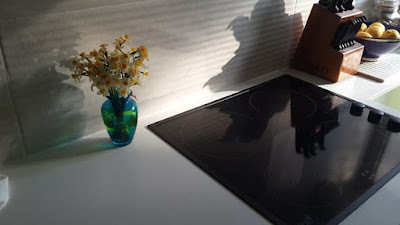 The entry of tech into the kitchen domain has gifted all of us with marvelous inventions starting from smart refrigerators to motion sensing faucets.Thermal detection, Internet of things etc. has made a smart kitchen look like something out of a fantasy movie. Microwave ovens can be programmed to heat your food just as you enter your home or refrigerators can tell you when you are low on produce etc. and everything can be controlled using simple apps on your phone. Smart kitchens are something to look at in 2019. Homeowners are looking at modern designs for cabinets that have more partitions that can reduce clutter. Latest cabinets can be completely hidden and will open out by just using a simple pushing mechanism, or can be pulled out with cut out handles. Cabinets on the walls are getting outdated and more homeowners prefer cabinets below their counters for the aesthetic appearance. The all-white kitchen is slowly going out of fashion and more natural neutral shades are making their way into the market. Dark shaded cabinets and floors with light shaded tops are becoming very popular. Shades of green, black and navy are being used and the color palette gives the homeowners a feeling of luxury and sophistication. Dark colored themes are the one to look for this year. The aesthetic looks of appliances have vastly improved with no loss in function. Dark and neutral colored appliances, to go with your kitchen theme are becoming more popular. Glass door refrigerators, touch sense stoves and microwaves, wall ovens, steam ovens etc. are a must have for a lot of homeowners. Old-school is back in fashion. Bright colors, hardwood and ceramic flooring are getting more attention. Ceramic tiles, single block kitchen tops, designer wooden chairs etc. are making their way back into 2019. Quartz and hardwood flooring are being designed to mimic natural stone. Ceramic floors are also back into fashion and are preferred by homeowners who wish to have low maintenance type of floors. 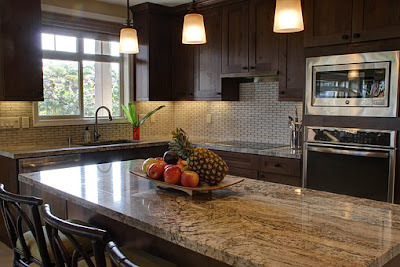 Old fashioned kitchen islands which have been tastefully redesigned by professional contractors are popular in 2019. These are some of the major trends this year. Contact us today and learn more about kitchen remodeling. Get 2019 on track and start your year with the perfect remodel!